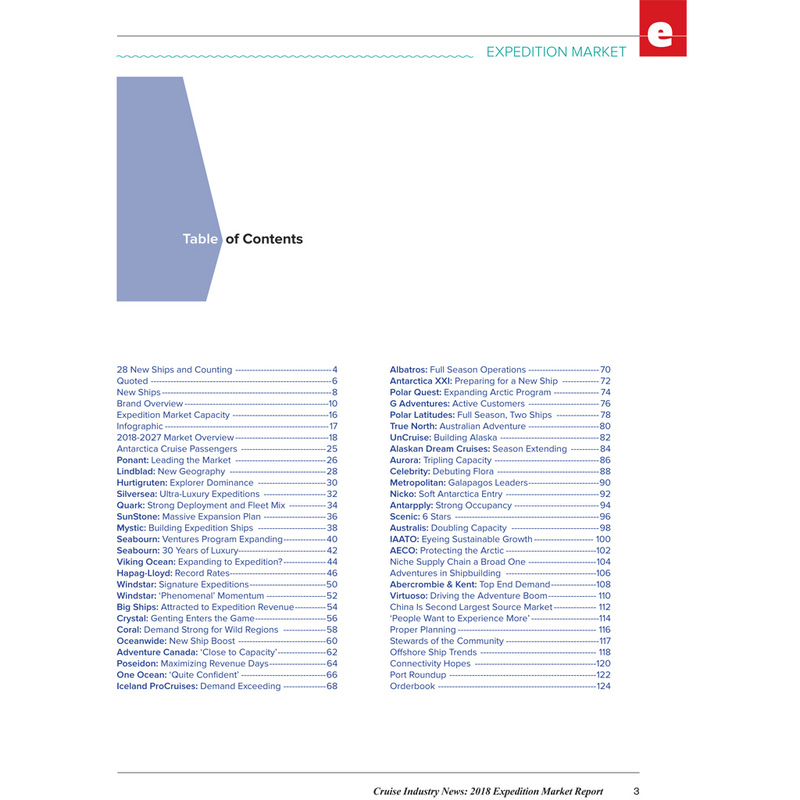 Comprehensive 127-PDF report detailing the entire expedition market. 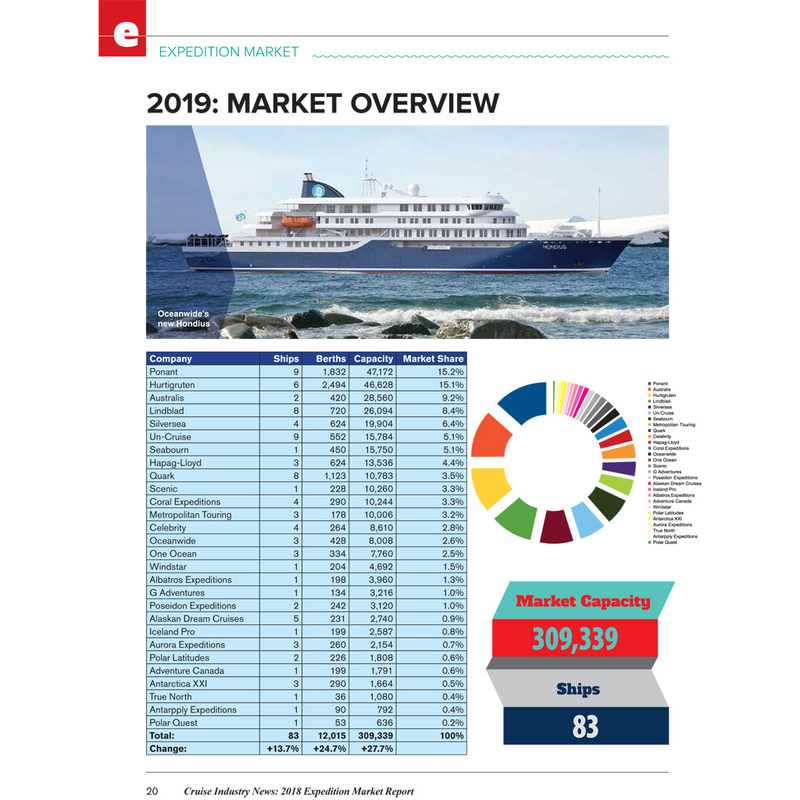 Includes capacity projections through 2027, and profiles of 30+ major players, with exclusive interviews and insight, along with trends, original data, operational coverage and much more. 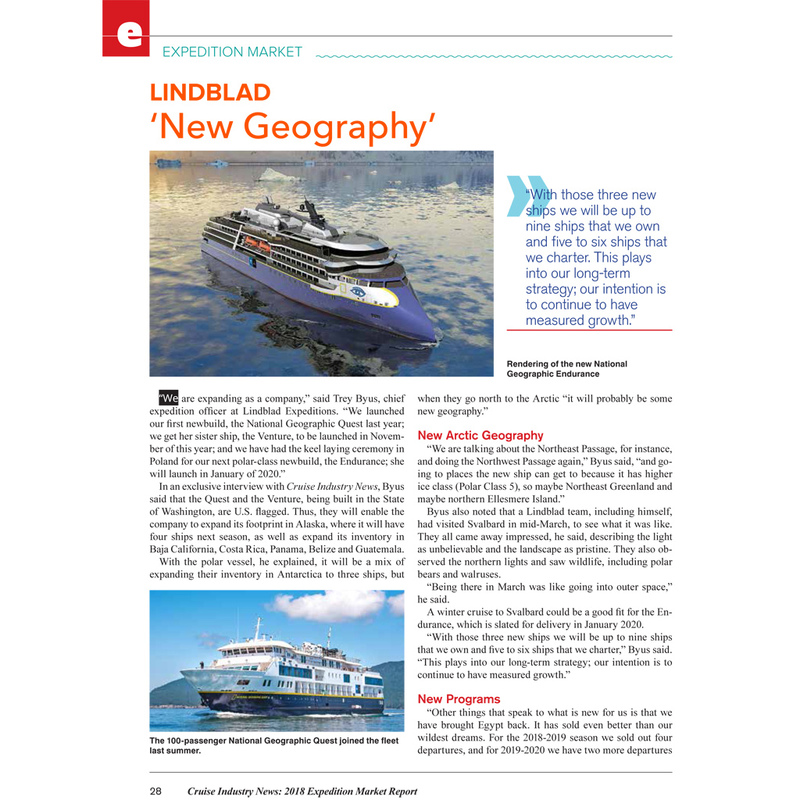 Original reporting, analysis and research. 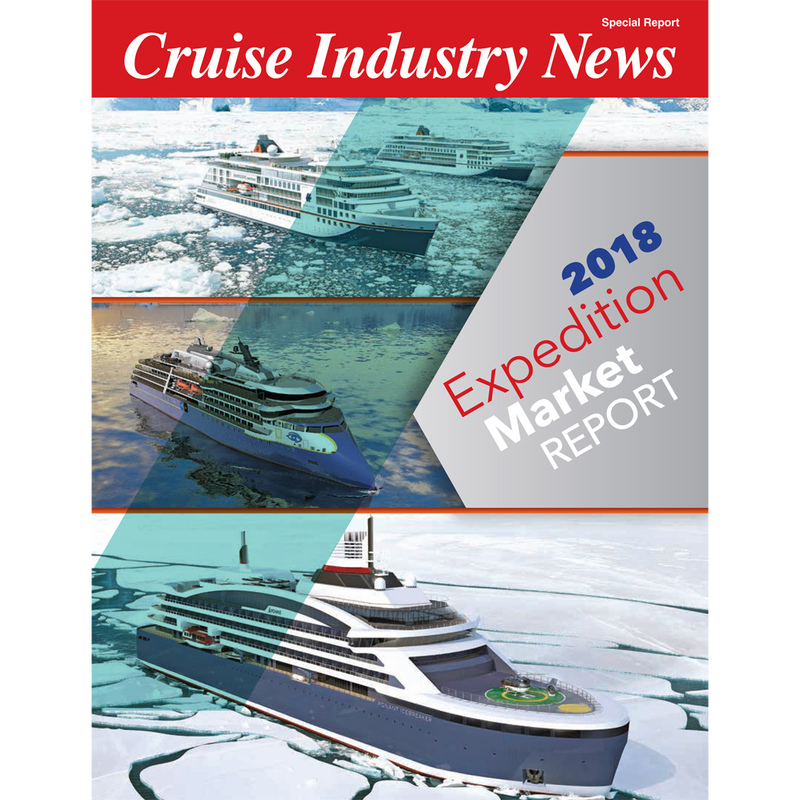 Full and complete insight into the expedition cruise market, growth projections and the major operators. 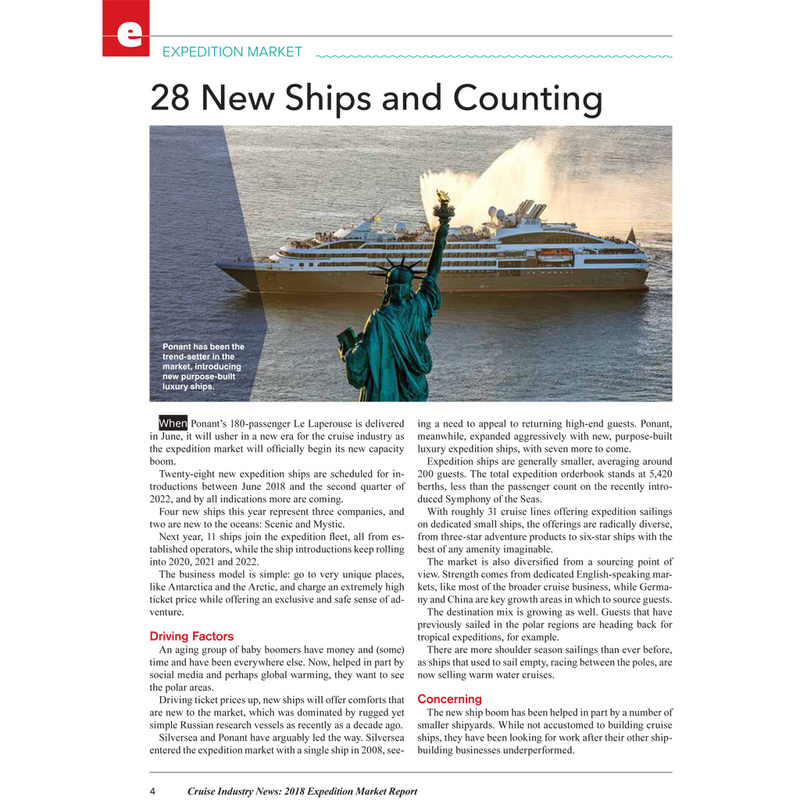 A look at what is driving demand for the 28 ships on order. 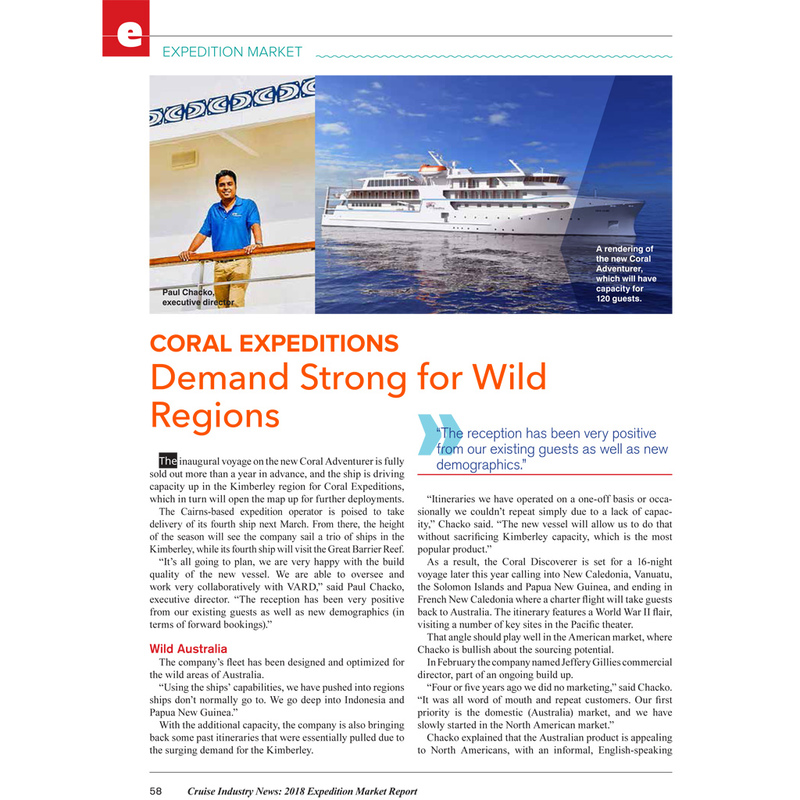 Growth projections in the expedition cruise segment through 2027. 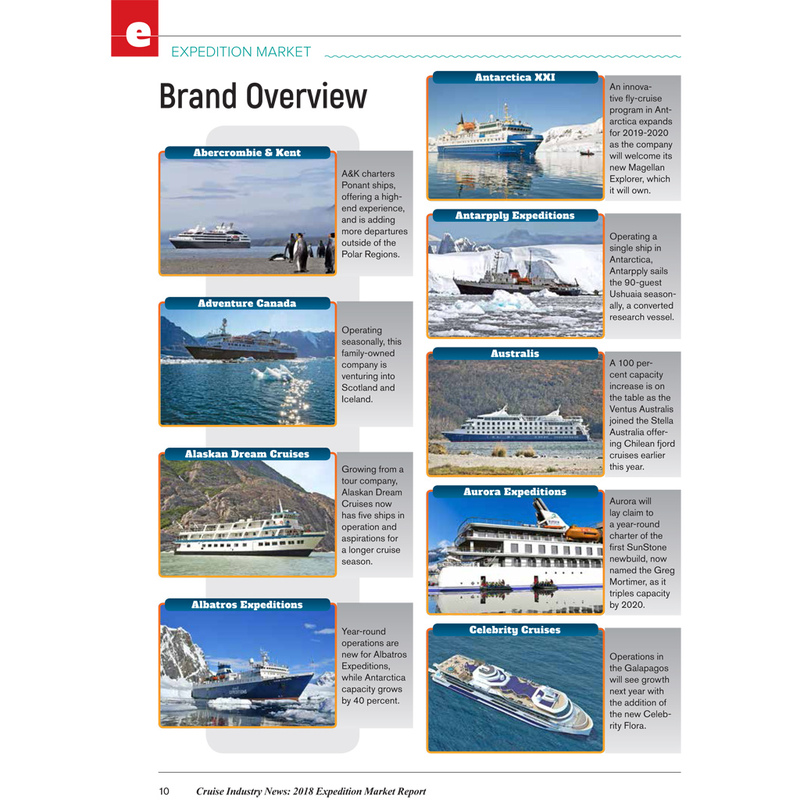 Over 30 companies profiled, including exclusive interviews. 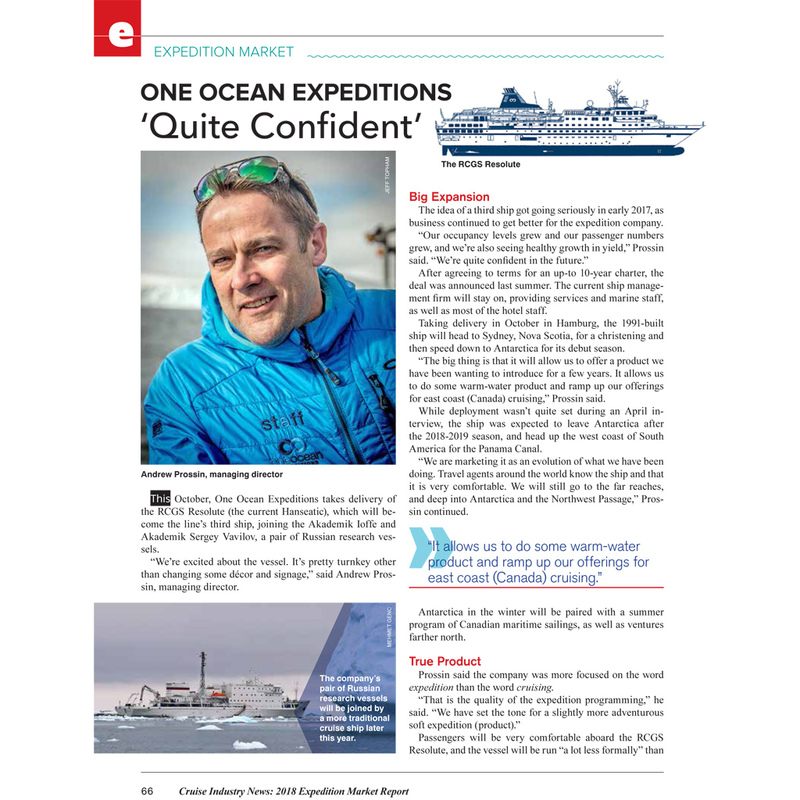 Coverage includes: Adventure Canada, Alaskan Dream Cruises, Albatros Expeditions, Antarctica XXI, Antarpply Expeditions, Aurora Expeditions, Australis, Celebrity, Coral Expeditions, Crystal, G Adventures, Hapag-Lloyd, Hurtigruten, Iceland Pro, Lindblad, Metropolitan Touring, Mystic, Nicko, Oceanwide, One Ocean, Polar Latitudes, Polar Quest, Ponant, Poseidon Expeditions, Quark, Scenic, Seabourn, Silversea, SunStone Charters, True North, UnCruise, Viking and Windstar. 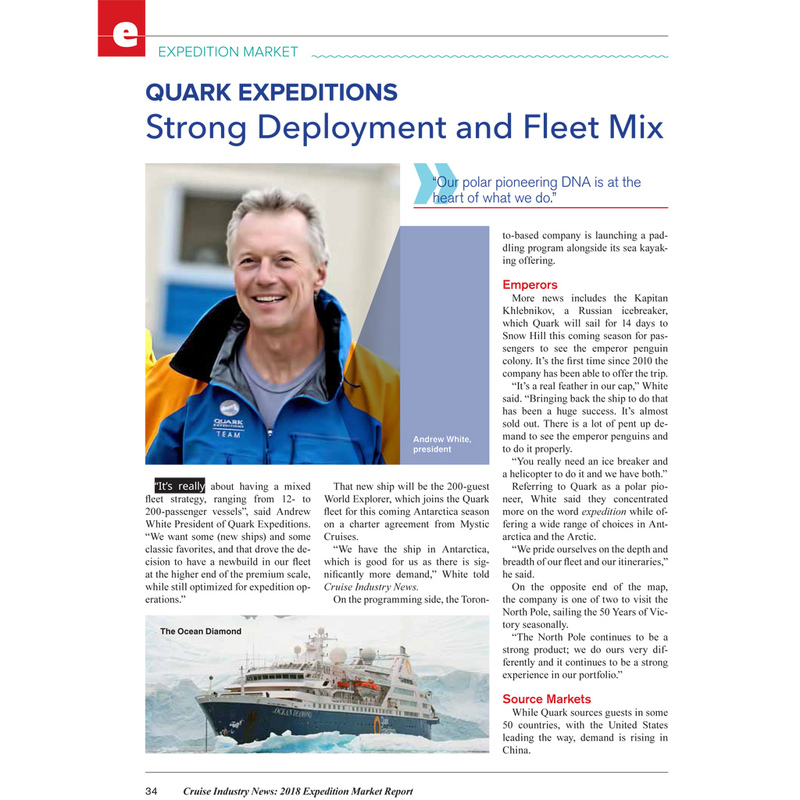 In addition: trends, satellite connectivity, polar challenges, regulatory groups, shipbuilding, and much more. 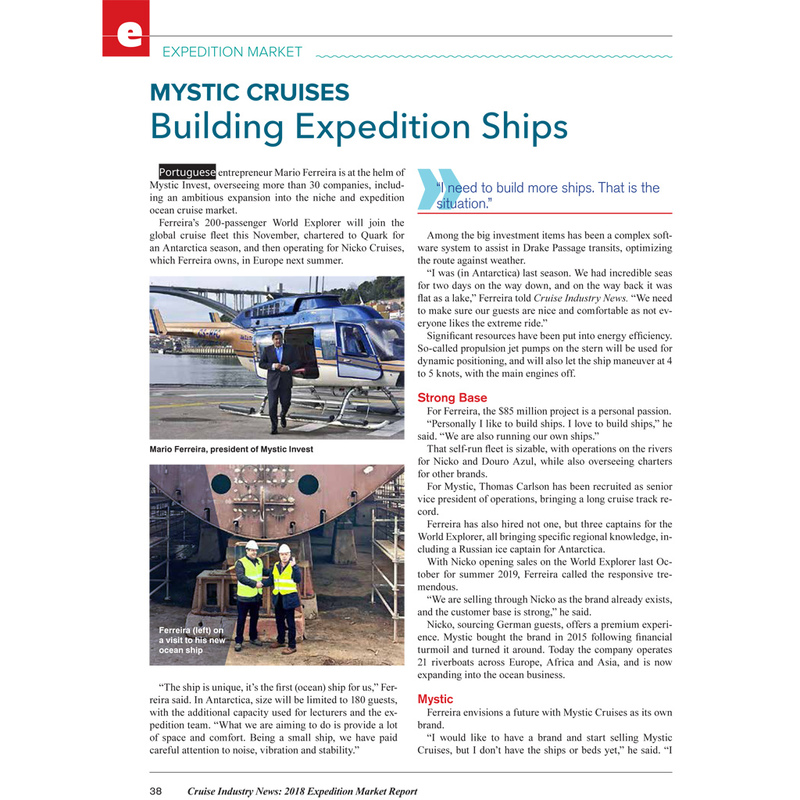 Double the length of 2017's Report!